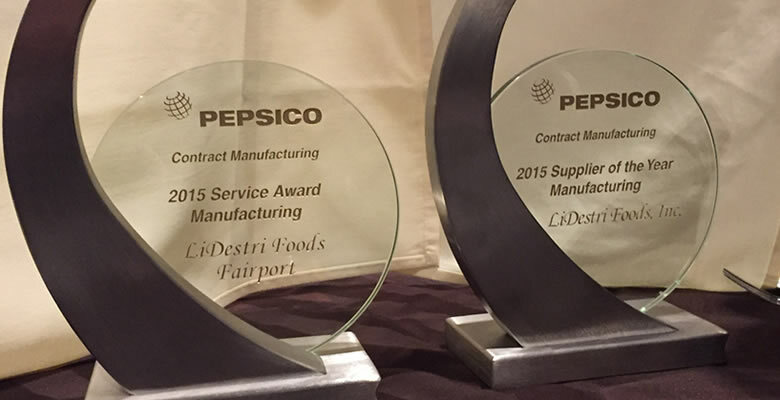 LiDestri Food and Beverage is proud to announce that PepsiCo named us its 2015 "Supplier of the Year," and also picked us to receive its "2015 Service Award," for our contract manufacturing on behalf of its Frito Lay brands. 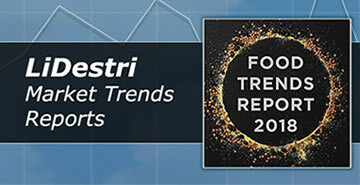 LiDestri was chosen as tops among 70 other suppliers for the honors, and we're especially pleased to have been called out for our collaboration skills along with our productivity. "2015 is a great example of how customer and contract manufacturer partner together to mutually deliver collaborative goals," PepsiCo wrote, citing us for flexibility, in particular, in awarding the service prize. 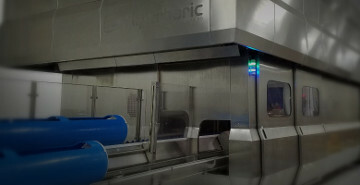 Last year LiDestri helped Frito Lay launch multiple dips products, hit 102 percent of our productivity goal and achieved 12 percent year-over-year volume improvement, the company noted, adding that we had a 99.6 percent order fill rate and improved both in lowering consumer complaints and decreased foreign matter. "Thank you for all the efforts your company put forth in accomplishing these deliverables throughout 2015," PepsiCo added. 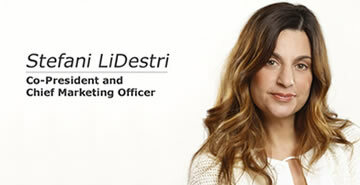 "World class customer service has always been one of LIDestri's calling cards and the time we devote to customer collaboration has grown dramatically since the opening of our Innovation Center," Chief Marketing Officer Stefani LiDestri said. "For a valued customer and one of the country's largest food and beverage companies to acknowledge us for excellence in both areas is a testament to the hard work and creativity of our entire team."